Performance accountability is coming to mental and behavioral healthcare. Providers are expected to collaborate and address the health care needs of patients more efficiently, and the emergence of new reimbursement mechanisms is replacing fee-for-service payment. The Center for Medicare and Medicaid Services (CMS) has created multiple initiatives and is promulgating regulations that are evolving swiftly. The shift towards value-based payment may feel unsettling and intrusive to many psychologists. Most psychologists were never trained or expected to track or report outcome data from their personal practices; many have never seen their own outcome data. The question is not whether psychologists will be impacted by performance accountability, but rather how much influence psychologists will have on the process, as it unfolds over the next decade. This, in turn, has implications for professional practice in psychology, such as the increasing demand for quality metrics, and payment reforms. The goal of this program is to educate psychologists about quality measurement reporting, by reviewing recent federal regulations (i.e., Medicare) and research, with an emphasis on exploring both the potential benefits and challenges for clinicians. The presenters will provide an overview and discuss the history leading up to APA and APAPO’s initiative to develop a Qualified Clinical Data Registry (QCDR), a CMS-approved outcome dataset that will allow practitioners to track quality progress and outcomes on their clients. They will highlight how developing a new QCDR specific to mental and behavioral health care, called the Mental and Behavioral Health Registry (MBHR), will have an impact on professional practice, health care outcomes, clinical research, and training future providers. They will demonstrate the use of the new Mental and Behavioral Health Registry. The world of health care is changing for providers, including psychologists and other mental and behavioral health specialists, with more emphasis being placed on tracking outcomes on their patients in order to get reimbursed. But to do this, psychologists need access to outcome measures that accurately capture the mental and behavioral health problems that patients face. This presentation will focus on efforts by the Center for Medicare and Medicaid Services (CMS) to shift to new reimbursement mechanisms to replace fee-for-service. Specifically, the 2015 Medicare Access and CHIP Reauthorization Act established two payment reform models within Medicare’s Quality Payment Program: the Merit-based Incentive Payment System (MIPS) and Advanced Alternative Payment Models. An overview of how changes in Medicare will affect psychologists in 2019 and beyond will be presented with a focus on reimbursement issues and quality reporting under MIPS. The presentation will also discuss resources being developed by APA and APAPO to help psychologists successfully participate in value-based payment programs. Title: Clinical Utility of the Mental and Behavioral Health Registry for Professional Practice. Fulfilling the requirements of the Centers for Medicare and Medicaid Services for reporting on the quality of care delivered to patients has been a difficult target for many practicing psychologists - especially those in individual or small group practices, and those who report via claims forms rather than clinical data registries. Under the previous Physician Quality Reporting System (PQRS), which was intended to advance healthcare quality improvement, many psychologists did not treat a range of patient problems sufficient to cover nine different measures across at least three of the six different National Quality Strategy domains. Under Medicare’s current quality payment program: the Merit-based Incentive Payment System (MIPS), difficulties remain. Few approved measures have been useful for those specializing in mental and behavioral health, because the systems were not designed to do so. Currently, psychologists are exempt for a low volume of patients and/or dollar amounts billed. 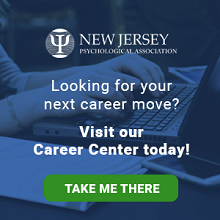 However, if psychologists do not participate in quality reporting, they will be penalized substantially in the coming years and will receive the same payment rate as they do now, with no option for increases. This presentation introduces the APAPO Mental and Behavioral Health Registry (MBHR) relevance to psychology practitioners, compared to former platforms. It highlights the advantages of the new registry (MBHR) for addressing the needs of clinicians reliably, thus allowing them to participate fully in reporting on quality measures for the Centers for Medicare and Medicaid Services. Examples of how to report measures will be demonstrated on the online Registry. 3) Explain the role the Mental and Behavioral Health Registry plays in the future of professional psychological practice and psychological science. 6) List the key features of the Mental and Behavioral Health Registry (MBHR). 8) Explain the strength of patient report measures. The presenters do not have any commercial support and/ or conflict for interest for this program. Registration Policies: On–Site Registration fees will increase by $20 and will only be accommodated if there is space. Once registration closes there will be no on-site registration. Refunds less a $25 administrative fee will be granted until September 10th 2018. No refunds after September 10, 2018.